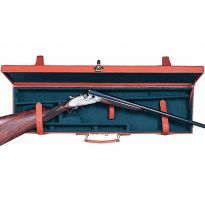 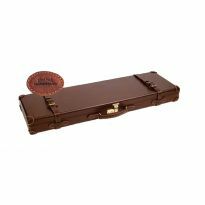 Suitable for either an over-and-under or side-by-side shotgun, this calf-hide gun case is double sided to allow easy access to both guns. 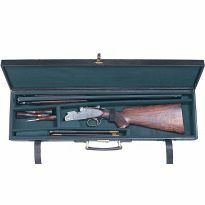 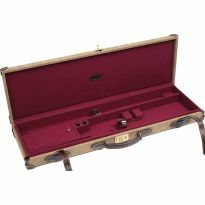 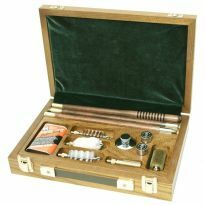 Covered in calf-hide and lined with soft felt, the case is compartmentalised for stock, fore-end, barrels, cleaning kit and tools. 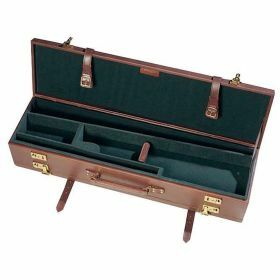 It has two locks on each side as well as two strap and buckle closures. External Size: L 32" x H 4" x W 8.5".